Tomi Masters, flanked by Troy Woody and Mir Islam. Police have stressed that the two Americans arrested for the murder of Tomi Masters are receiving “no special treatment” in custody. Troy Woody, aged 21, and Mir Islam, 22, are currently sharing a 20-square metre cell with 16 other detainees at the Mandaluyong City Police Custodial Facility. The pair are accused of strangling 23-year-old Tomi, placing her naked body in a large box and dumping it in the Pasig River. 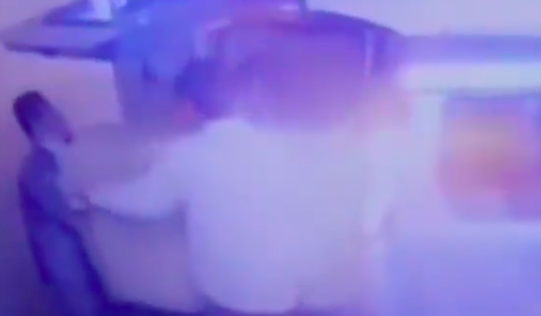 CCTV footage of the pair loading the box into the back of a Grab taxi has now been released. 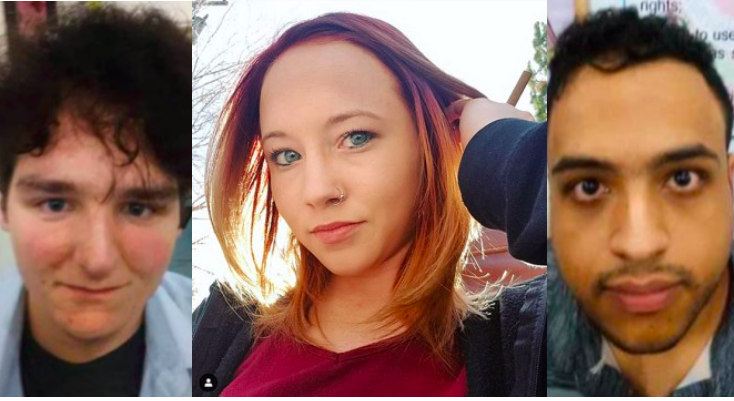 Both men admit to dumping Tomi’s body, but blame the other for her death. CCTV footage showing the suspects loading a box containing the body of Tomi Masters into the back of a Grab taxi. Police officer Hamad Habbisi said despite offering no special treatment to the pair, he had encouraged the other inmates to treat them well. Their cellmates are charged with various crimes, including illegal drug use, physical assault and shoplifting. Habbisi said that because the Americans arrived without any belongings, they had been lent clothes by their fellow prisoners. They have also been provided consular assistance by the United States Embassy. However, the embassy has emphasised that it “cannot provide legal advice or effect the release of arrested US citizens”. “We cannot represent US citizens in foreign courts,” a spokesman told online news site Tempo. Woody, who had been living in California, and Islam, who is from Brooklyn, were arrested at a condominium unit in Ermita last Sunday (December 23) after dumping Tomi’s body in the Pasig River in the small hours of the same day. As we previously reported, the suspects told police they were both CEOs of Luxr LLC, a Bitcoin and Cryptocurrency trading firm registered in Delaware. Hope the rotsendbacktous. #hardliner. #letcellmatestreatthemtothesamepunishmenttheygsveTomi. A citizen of the US.